The region stretching across the Arctic from the Bering Straits to Greenland is one of the most critical for understating modern global climate change, especially as it affects keystone species and indigenous peoples. However, substantial changes in the arctic environment are not solely modern phenomena. 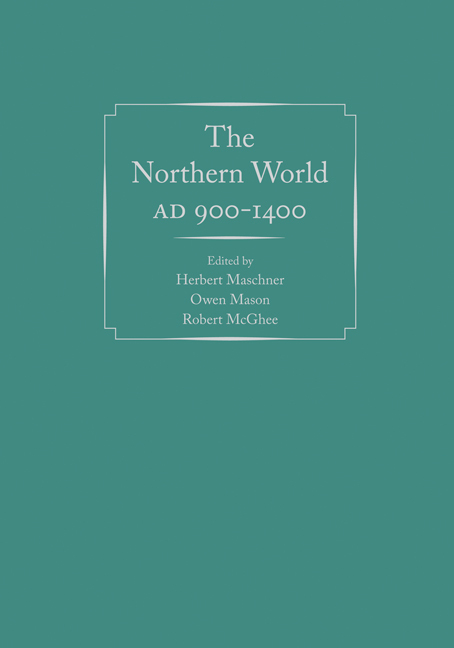 The period between AD 900 and 1400 witnessed some of the most dynamic and variable arctic climates since the last Ice Age. Throughout the period from the Medieval Climatic Anomaly (an unusually warm period) to the Little Ice Age, this region also saw two of the greatest migrations in human history, an unprecedented level of warfare among hunters, the rise and fall of widespread cultures, hemispheric trade networks, and the beginnings of today’s indigenous northern peoples. The Northern World presents the Arctic as a dynamic, interactive, and connected region of peoples and landscapes that has proven remarkably adaptable to changing climate and social systems. Herbert Maschner is research professor of anthropology at Idaho State University; director of the Center for Archaeology, Materials, and Applied Spectroscopy (CAMAS); senior scientist at the Idaho Accelerator Center (IAC); associate editor of the Journal of World Prehistory; and an executive director of the Foundation for Archaeological Research and Environmental Studies (FARES). Owen K. Mason is editor of the Alaska Journal of Anthropology and a board member of the Alaska Anthropological Association. He is currently a research affiliate with the Institute of Arctic and Alpine Research at the University of Colorado and manages his own consulting firm, Geoarch Alaska, in Anchorage. Robert McGhee is a fellow of the Royal Society of Canada and of the Arctic Institute of North America, past president of the Canadian Archaeological Association, and has been awarded the Massey Medal of the Royal Canadian Geographical Society. He is currently curator emeritus at the Canadian Museum of Civilization.